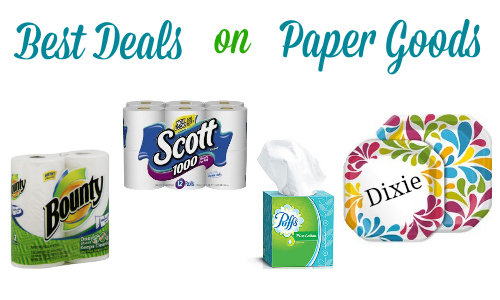 Check out this week’s best deals on paper goods! There are some really awesome deals this week, like bath tissue for less than $4, paper towels for less $1 and FREE facial tissue! Don’t forget you can always use the Item Search to look for items you need. Tip: The best deals on Bath Tissue and Paper Towels tend to be in the drugstores.